A wedding destination (or theme!) 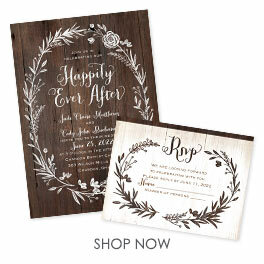 as romantic as Paris deserves an equally romantic wedding invitation suite. The Eiffel Tower Information Card features a classic flourish background that fits your love for French style.